UPDATE: Power Rangers LIVE! in KC has been canceled. No further information is available at this time, but we will update if the show is rescheduled. Go! Go! Power Rangers! Power Rangers, the global pop culture phenomenon, is celebrating 25 morphinomenal years and is coming to Kansas City for a live show at Arvest Bank Theatre at The Midland on April 8, 2018! Tickets are on sale now! Power Rangers Live! in KC will feature an awesome martial arts spectacular! Witness the epic, stunt-filled, live event for the whole family, Power Rangers Live! in Kansas City, as five ordinary teens morph into the Power Rangers to help save our town and the world from an alien threat and destruction! In celebration of Saban’s Power Rangers’ 25th Anniversary, the iconic Rangers are set to morph onto stages around North America in an epic live show based on one of the longest running series in television history. Power Rangers Live will be an interactive, mixed media stage production for the whole family with endless action-packed stunts and epic martial arts. Six ordinary teens will morph into the Power Rangers to help save cities and the world from an alien threat! The show comes to Kansas City at Arvest Bank Theatre at The Midland on Sunday April 8. Tickets are on sale NOW at Arvest Bank Theatre at The Midland Box Office, AXS.com or 888-929-7849. 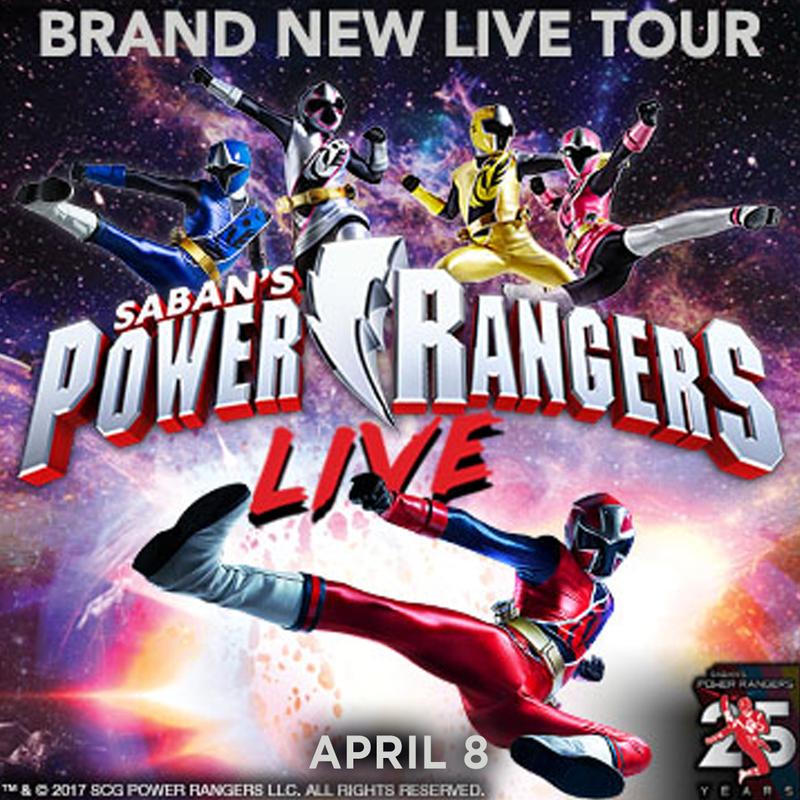 Citi is the official card of Saban’s Power Rangers Live. Will your kids be excited to see Power Rangers Live in KC?